South Carolina is alive with the history of a nation, has been named America’s #1 golf destination and offers tourists plenty of state parks, beaches, museums and places of interest to ensure a fantastic vacation experience. South Carolina was full of history even before that fateful day in 1861 when Fort Sumter was fired upon by Union forces. Today, the fort that can only be accessed by boat is a National Monument and a South Carolina tourist attraction which visitors can explore while learning the stories and the history of the area. The Charleston Museum is America’s oldest and teaches those traveling to South Carolina about the city from the Revolutionary War through the Civil War and beyond. Another historical spot is the Edmondston-Alston House situated overlooking the battery and Charleston harbor, this house was where General Beauregard watched the Battle of Ft. Sumter and was also a safe house at one time for Robert. E. Lee. Historical artifacts here include family and American artifacts, a print of the Ordinance of Secession, furniture, portraits and gas lights. The Confederate Museum holds displays of bibles, flags, clothing and weapons and shows the history of the city as well as the country through its small but impressive collection. A nice change of pace from the history of the city comes at the South Carolina Aquarium, where visitors can see the rare albino alligator, check out the touch tank, see the shark tank, stingrays and sea turtle hospital along with dive shows and special animal programs. What South Carolina vacation would be complete without a trip to Myrtle Beach? Located on the Atlantic, this city is home to beautiful warm sand beaches and watersports galore. One of the tallest South Carolina tourist attractions can also be found here in the Sky Wheel, a 20 storey high wheel with gondolas attached that take you on a breathtaking view high above land and sea. 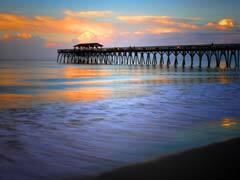 Myrtle Beach is full of golf courses, family attractions and mini golf courses, like the Mt. Atlanticus, a multi storey affair with waterfalls, decorations, statues, music and indoor/outdoor courses. Also be sure to check out the fantasy mini golf courses, Medieval Times, Magiquest, aquarium and the Children’s Museum where hands on learning and interactive activities are the order of the day. Huntington Beach State Park is great place to visit when traveling to South Carolina. It offers visitors trails, the Grand Strand beach, fishing, boating and bird watching opportunities along with newer things to try like surf fishing. Not far away is Brookgreen Gardens which is a National Historic Landmark, offering beautiful parkland with 1400 sculptures on display. There is also a zoo on the property with over 300 animals, some of which have been injured in the wild and are now in the safe haven of the Gardens. One of the prettiest South Carolina tourist attractions is Boone Hall Plantation with its oak tree lined entrance and colonial plantation house. As the oldest working plantation in the country, this still works at growing produce and tours are available throughout the buildings including the old slave cabins, the main house, gardens and more. Spartanburg lies in the foothills of the Blue Ridge Mountains and offers South Carolina vacationers the chance to visit and tour the Walnut Grove Plantation. 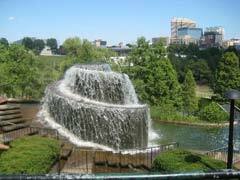 Its buildings and grounds, gardens and artifacts make a great place to visit amid the lovely scenery of the area. 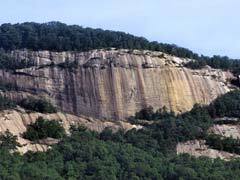 Table Rock Mountain is located in the Blue Ridge Mountains and the Table Rock Mountain State Park allows travelers to South Carolina the chance to camp near the old swimming hole or tour the lovely trails and waterfalls in the area. Hilton Head Island is a perfect getaway for that South Carolina vacation as visitors can explore over 50 miles of hiking and biking trails amid the eco-friendly island atmosphere. Some of the top 10 family friendly beaches are found here as well as plenty of golf courses, watersports and sunset cruises. Parasailing allows tourists to see the entire island from the air and dolphin tours are sure to delight the whole family. Edisto Beach is one of the more non-commercial beaches in the state and is a great family beach, making it a nice South Carolina tourist attraction along with the Edisto Beach State Park and Island museum. Columbia is the state capital and as such, tourists can see the Capitol Building as well as the State House. The Riverbanks Zoo and Botanical Garden and the EdVenture kids’ museum are both wonderful attractions for a family vacation. EdVenture allows kids to dress up and play in interactive and hands-on activities that make learning fun. Columbia’s Site of the Surrender is a small stone with big historical significance as it shows the spot where the mayor of the city surrendered it to General Sherman in the Civil War, affording it protection from utter destruction. 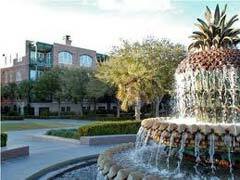 South Carolina makes for a beautiful vacation destination for anyone wanting to have fun in the sun or to learn about the history of the area. With so many interesting places to see, the only problem will be which ones to choose.